If you’ve ever dreamed of the perfect business opportunity then this can be your first step toward a rewarding and exciting career one that offers independence, prestige, and an incredible income potential. 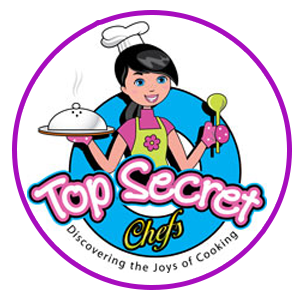 Welcome to Top Secret Kids the fantastic hands-on approach to teaching science, cooking and fitness to children. Our 3 comprehensive programs are exciting, magical and fun and kids get to discover & explore the world around them. When you join Top Secret Kids you receive an extraordinarily successful program to be your own boss without the headaches and costs associated with owning your own business. In other words, you will be in business for yourself, but not by yourself. You will become part of a select team of highly motivated business professionals in one of America’s top growth business areas. Your business will always be in demand and will always grow. Your market is the world’s most valuable resource — our children. The structure is simple. You contribute to your community by improving the quality of life for thousands of children, and in return you are rewarded personally and professionally. Rarely does a business offer both! This is a great part or full time home-based business, or you can operate in a small office space. With Top Secret Kids, children interact with lots of fun and exciting hands-on programs. Learning about science, math, engineering and technology (STEM) or about safety, food preparation, food equipment, recipes, or about finess and physical activity for both the mind and body are just some of the areas children will discover. Over 40 programs take place each week here in the Boston area which consist of spectacular yet simple after-school programs, group special events, school field trips, birthday parties and more. It truly is the ultimate kid’s and teacher’s educational and entertainment adventure! 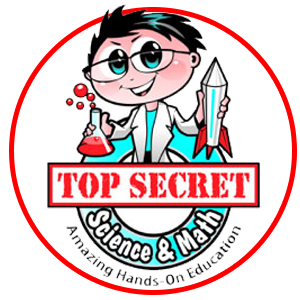 Top Secret Kids offers more attractive benefits than any other opportunity and together with our parent organization – the Massachusetts Science Center (www.TopSecretScience.com), we have invested over $3 million dollars in our system to ensure that you succeed. It’s easy to start, low cost – only $8,750 for the comprehensive business, and lots of fun. You don’t need a science, cooking or fitness background and your local market is unlimited. You can concentrate on one area or get involved with all three! You can also realize complete financial freedom – with a minimum of $150 – $500/hour and a potential of $75K-$100K a year within a very short period of time. We are in search of some dedicated people to join our team. If you have an interest in learning more about this incredible opportunity, please call us at 781-935-9010. Thank you for your time and consideration.